These premium properties in Oak Lawn, Turtle Creek, and Victory Park were listed for lease as of April 13, 2019. Click on the address for more information on each, including photos and a map of its location. For more information about any of these premium properties in Oak Lawn, Turtle Creek, and Victory Park, or to schedule a showing, contact John Pritchett 214.234.0056, JPritchett@msn.com. ° Fabulous one bedroom condo in the heart of Oak Lawn! Close to shopping and entertainment! Small front yard. One covered assigned parking spot. Interior photos coming soon make ready complete! Owner has completely repainted, resurfaced the kitchen counters, putting in new shower, new fridge and stove to come! ° Newly renovated, Contemporary studio apartment in the heart of Oak Lawn. Second floor unit. Living area features 12' ceilings, recessed lighting & fireplace. Sleek island kitchen with granite and full appliances; includes Refrigerator, compact Washer & Dryer. Small, well maintained complex in great location. Gated entrance. Uncovered parking in front or back. ° Charming one bedroom plus study with one bathroom garage apartment in trendy Oak Lawn, just outside Highland Park near Turtle Creek. Gleaming hardwood floors in the living room and office-study-extra bedroom. Carpet in the bedroom. Ceramic tile in the kitchen and full bath with tub. Generous-sized kitchen with gas stove, full-sized refrigerator, garbage disposal, pantry and microwave with vent. Full-sized laundry room shared between three units. Cute brick patio. Off street parking. ° Additional Info: Pets allowed limit 2, unfurnished, available 5/1, 0 covered parking space(s), Dallas ISD. ° Darling condo in the heart of Oak Lawn! Hardwood floors throughout main living areas, wood burning fireplace. Kitchen has stainless steel dishwasher, stove and refrigerator. Good-sized bedroom has new carpet. Bath was completely updated. Unit has a extralarge built in storage in covered garage. Complex is quiet, gated and the unit includes one covered parking space. Washer and Dryer included. This is a great neighborhood to walk or run in. This home is close to Tom Thumb and World Market on Oaklawn Avenue, so its a walk-able neighborhood. ° Beautifully updated 2 story 1 bedroom 1.5 bathroom off of Oak Lawn!! Updated flooring, fresh paint, and new SS appliances. Updated lighting. ° This corner condo is located on the 7Th floor of the prestigious East Towner of the Renaissance on Turtle Creek. The living room has hardwood floors and the bedroom carpet was just replaced. The bedroom also includes updated plantation shutters. Located in the heart of Turtle Creek, Lee Park is just across the street, as is the entrance to Katy Trail. ° Additional Info: No pets allowed, furnished, available now, 2 covered parking space(s), Dallas ISD. ° ALL BILLS PAID - FULLY FURNISHED! $1550 + $150 Utility Fee. Newly renovated condo bordering Highland Park! Brand new wood flooring, granite counters, stainless steel appliances! 3 minute walk to Whole Foods! Take an evening stroll through the tree-lined streets of Highland Park. Relax at beautiful Lakeside Park, just a few blocks away! Condo is fully furnished with all you'd need! Stylish furniture, brand new mattress and bedding, sleeper sofa, dishes, cookware, Keurig coffee maker, towels, flat screen TV, record player, and more! INTERNET & WIFI PROVIDED! Enjoy the community courtyard and your own covered patio, patio furniture included! Assigned parking spot. Short term leases available for additional rent. ° Additional Info: Pets allowed, furnished, onsite W/D connections, available now, 0 covered parking space(s), Dallas ISD. ° This upgraded one bedroom condo offers wood floors throughout, updated cabinets, stainless steel appliances including a double oven, Nest, smart device compatible light switches and door lock. Located in the heart of Turtle Creek, the property is a short walk across the street to Oak Lawn Park, the entrance to the Katy Trail, and nearby entertainment and dining, where luxury meets convenience. Amenities include 24-7 concierge, valet parking, guarded and gated garage, 2 pools, 2 gyms, and 2 business centers. This unit is located on the same floor as one of the gyms and pool entrance. Two parking spaces in the garage are included, assigned space #505, Floor G2 and one unassigned space. ° Gorgeous luxury high rise condo with balcony and everything one can possibly want on the 12th floor with a spectacular view over Oak Lawn Park and Dallas. Kitchen with stainless steel refrigerator, granite countertops, under-mount sink, fresh paint, washer-dryer connection in unit. The Renaissance offers one of the very best values along Turtle Creek Blvd. Just across the street from the Katy Trail and minutes from Uptown, Downtown and The Arts District this is a prime location. Resident amenities include concierge, valet, two pools, two fitness centers and two business centers. Assigned parking space #519. ° Location, location, location! Perfect rental location in heart of medical district and Oaklawn. Open floor plan that has maintained it's 1950's charm. This is the main front unit for this condo complex. This unit has original front windows and charming walk up. Beautiful magnolia tree in the front yard. Walking distance to Lemmon & Oaklawn restaurants and entertainment. Quick access to DNT, I35 and I75, UT Health Science Center and area hospitals. Huge master up with newly refinished master bath, recent carpet, tile & parquet. Skylight for natural light up. Master has sitting area that could easily be used as study or office area. Stackable washer & dryer off kitchen, great dining area and quaint outside deck. ° Additional Info: Pets allowed limit 2, unfurnished, W/D connections incl., available now, 0 covered parking space(s), 1 fireplace(s), Dallas ISD. ° Welcome Home to this Sophisticated One Bedroom with a Mediterranean Style in Turtle Creek. Lavish Interior Features Include Honed Limestone and Hardwood flooring, Granite and Marble Counters with Chef Inspired, Premium Stainless Steel Appliances. 24 Hour Concierge, Peak Hour Valet, and Daily Dog Walking Available. Close to Katy Trail, Reverchon Park, Uptown, and Oak Lawn and Offers Easy Access to the Dallas North Tollway, Interstate 35E, Woodall Rodgers, and US Highway 75. ° Additional Info: Pets allowed limit 2, unfurnished, W/D connections incl., available now, 0 covered parking space(s), Dallas ISD. ° Crisp & clean highrise apartment in the sky! Rent includes electric, water, sewer, & trash! Handsomely remodeled apartment with ample wall space. Genuine hardwood floors throughout Living, Dining, Kitchen, & Bedroom. Master features flat screen TV in niche & Custom Closet. Bath has soaking tub, rain shower head, seamless glass enclosure, floating vanity with ample recessed storage. This unit is equipped for ventless washer-dryer combo. Kitchen has white cabinets, slab Carrara marble counters, smooth electric cooktop, built-in Microwave & vent, double oven, undercabinet lighting, & designer glass backsplash. Walk to grocery store & restaurants! The large terrace with panoramic view finishes this unit off! ° Unique contemporary condo in Oak Lawn. End unit with floor to ceiling windows, 12 ft high ceilings throughout, recessed lighting, tons of storage space & wood burning fireplace. Kitchen with Silestone counters, slate floors & glass tile backsplash. Beautifully updated spa-like bathroom. Large 'tree house' balcony is 22 x 4 with sunset views. Assigned covered parking next to front door. Perfect location close to Katy Trail, Tollway, Uptown & more. ° Listing Agent: Amanda Mahoney, Compass RE Texas, LLC. ° FULLY FURNISHED one bedroom condo available for lease. Private courtyard entry opens to living area with flat screen TV, small dining area and fully equipped kitchen. Second floor bedroom with walk in closet, laundry room and bathroom. One reserved open parking space and community pool. Located off Turtle Creek near Mansion Hotel with easy access to Katy Trail, shopping, dining major freeways. Rent includes furniture, house wares, internet, $100 of electricity. ° Enjoy the stunning high rise view in this gorgeous contemporary Condo at The House on Victory Avenue in downtown Dallas! Breath-taking amenities on the 5th floor such as relaxing infinity pool with cabanas, HUGE outdoor fireplace, dog run, fitness center, soothing owners lounge (can be reserved for events), and conference center. 10 foot ceilings with floor to ceiling windows and hardwood floors throughout common area. Granite counters & Stainless appliances in Kitchen. Large garden tub, separate shower and walk-in closet in Master Bath. Walk next door to the Hard Rock Cafe or The House of Blues for entertainment and dining! Valet Parking and 24 hour Concierge! ° Prime location in Oaklawn-adjacent to the Dallas Tollway and Wycliff Ave. Close to Downtown, Uptown and the Park Cities. Spacious and bright 2 bedroom, 1 Bath, end unit, located on the second floor. Freshly painted, brand new carpet. Living Room and Kitchen features a vaulted ceiling. Substantial walk-in closets in each bedroom one 6 by 5 feet other 5 by 5 feet. Bathroom is remodeled with brand new fixtures and generous amounts of built-in storage. Kitchen features include: stove, refrig, dishwasher, ample cabinets and a pantry closet. Central heating and air conditioning. 2 private balconies. 1 reserved parking space. Gated entry to a secure property. Laundry facility on-site. Courtyard Swimming Pool. No pets! ° Additional Info: No pets allowed, unfurnished, onsite W/D connections, available now, 1 covered parking space(s), Dallas ISD. ° Updated 2 bedroom, 2 bath condo in the heart of Oak Lawn. Conveniently located, close to uptown and Medical District. Wood floor in living area. kitchen and bathrooms with granite countertop. split bed rooms with individual bath. High vaulted ceiling, private balcony. Refrigerator, washer & dryer included. gated entrance, community pool and elevator access. Owner pays HOA due (include water, sewer and waste). ° Additional Info: Pets allowed limit 1, unfurnished, available 5/1, 1 covered parking space(s), Dallas ISD. ° Listing Agent: Jane Lee, Mersaes Real Estate, Inc.
° Prime Oak Lawn location! Mid-century modern 2 bedroom, 1 bathroom condo for lease in a 10-unit building. Refrigerator, washer and dryer, HOA fees included. Also, includes 1 reserved parking space. Landlord prefer a 12 month lease or longer. ° Additional Info: Pets allowed limit 1, unfurnished, W/D connections incl., available now, 0 covered parking space(s), Dallas ISD. ° Listing Agent: Meridith Hayes, Compass RE Texas, LLC. ° Have your own large private yard in the city with sliding door access from both bedrooms. Kitchen has granite tile counters and brick accent wall in kitchen and bedroom. This property is nestled between HP and Oak Lawn and within walking distance of HP Equinox gym, restaurants, shops & entertainment. ° Have your own private yard in the heart of Oak Lawn. This beautiful unit offers lots of natural light, brick ascent walls, granite counters & more. Walking distance to Equinox gym, restaurants, retail shops and more. Gated complex boasts 2 pools, Jacuzzi Spa and work-out room. ° Bright first floor unit with the largest private fenced in yard in the entire complex! Hardwood floors throughout with new carpet in bedrooms. 3 separate sliding glass doors provide access to large yard. Location, Location, Location! Live right in the heart of Oaklawn. Walking distance to Equinox gym, restaurants, retail shops and more. Gated complex boasts 2 pools, Jacuzzi Spa and a work out room. ° Spacious condo Conveniently located in the heart of Oak Lawn. Just a few steps away from some of Dallas' best restaurants and entertainment this condo has everything you could want. Beautiful open floor plan. Soaring vaulted ceilings and gleaming hardwood floors welcome you to a spacious split-level layout perfect for entertaining. The kitchen has been recently refreshed with granite counters, stainless appliances, and a new back splash. The appeal of this great condo in a boutique style 16 unit complex! ° MUST SEE!! Beautifully maintained and updated North Oak Lawn Condo. Updated kitchen with recent microwave, cooktop, ove, dishwasher and SS fridge. Real hardwood floors throughout the first floor. Half bath with waterfall faucet, concrete floor and vanity. Gas fireplace. Concrete dry bar with wine fridge. Stack full size WD. 18x12 patio. Large bedrooms. GREAT LOCATION! ° This charming and quaint townhome features a split bedroom arrangement perfect for families or roommates. Two bed and two baths on separate ends of the unit with spacious living and dining in between. Kitchen open to dining and a fenced deck is located just off of the living area. Large closets and updated finishes throughout. Parking just steps away. The unit enters from ground level and stairs lead directly to units door on the second floor. Washer and dryer are shared and located directly downstairs from the entry in the basement. 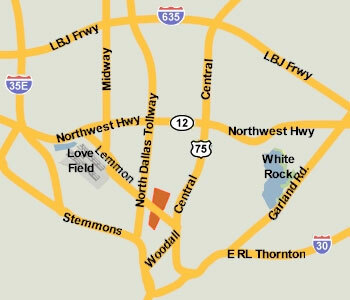 A highly desired area close to high-end shopping, major freeways, and some of the best restaurants Dallas has to offer! ° Ground floor condo, located in the heart of Oaklawn, situated between Highland Park, Uptown and Downtown, being extremely accessible and convenient! Short distance to Dallas' finest restaurants, West Village, and shopping. Enter this lovely home through a private courtyard! Spacious living area with cozy fireplace that flows into the dining room and kitchen with granite countertops W&D, fridge. Furnished or unfurnished. Pets discretionary. ° Additional Info: Pets allowed, unfurnished, available now, 0 covered parking space(s), 1 fireplace(s), Dallas ISD. ° Fabulous, fully remodeled condo near Highland Park, close to everything. All new vinyl windows, gleaming hard wood floors, new high quality carpet, new front load washer and dryer, new appliances, antique chandelier, granite counter tops, wood burning fireplace, crown molding, and fresh paint throughout. Tile in bathrooms, kitchen, and living room. Huge closets. Two assigned parking spaces in underground garage. Two separate AC units. Large patio. High security locks. Onsite pool and work out room. Water and sewer paid by HOA. Responsible Landlord. Also for sale at $272,000. ° Located in the coveted SOHIP area of Oaklawn just steps away from Highland Park! Open floorpan with lots of natural light. 2 bedrooms with ensuite baths downstairs and living and dining upstairs. New carpet in both bedrooms and the staircase. NEST thermostat. Wood flooring upstairs. Living and Dining areas are open and great for entertaining. Sliding glass doors open to a private balcony nested in the tress. Gas fireplace sets the mood. Stainless steel appliances sparkle, and the Utility Room holds full size luxury front load Washer and Dryer. ° Beautifully updated 2 bedroom 1 1.1 bath condo in the Uptown-Turtle Creek area. Kitchen has been updated with new cabinets, appliances and granite countertops. Unit has a large private patio and balcony, very rare for the area. ALL UTILITIES ARE INCLUDED IN THE RENT. Property is located within walking distance to Katy Trail, restaurants and bars. Easy access to Central Expressway, North Dallas Tollway, I-35 and I-30. Ready for move in on April 15, 2019. ° Additional Info: Pets allowed limit 1, unfurnished, available 4/15, 0 covered parking space(s), Dallas ISD. ° Two Bedroom two bath unit on the sixth floor with awesome view of Turtle Creek! ° Additional Info: No pets allowed, unfurnished, W/D connections incl., available 7/1, 2 covered parking space(s), Dallas ISD. ° 2 bedroom 2 bath condo on Turtle creek blvd for lease! The view of open sky and scenery from the 17th floor is the best decoration in your living space, the spacious private balcony is even a big plus. This condo offers wood flooring through out, stainless steel appliances and granite countertop in the kitchen. Clubhouse provides library, seminar room, huge community pool, gym, outdoor party area and guarded security. ALL UTILITIES ARE INCLUDED. Great location, walking distance to Turtle Creek, Tom Thumb, restaurants, Equinox, The Shops of Highland Park, Katy Trail and West Village. ° Light filled, updated, condo in gated complex. Open floor plan, big closets, 2 assigned, covered, parking spots. Private balcony. Walking distance to Whole Foods, shops, restaurants. Includes full size washer & dryer, NEST thermostat. Applicant must have good credit. ° Additional Info: No pets allowed, unfurnished, available 5/1, 2 covered parking space(s), Dallas ISD. ° Beautiful, up to date, spacious 2 bedroom, 2 bathroom condo with balcony and 2 secure parking spaces. Perfect location in the heart of Oak Lawn. 2 assigned parking spaces in secured parking garage. ° Listing Agent: Joan Laufenberg, Allie Beth Allman & Assoc. ° You'll love the amazing curb appeal of the Nikko Condominiums building with it's heavily treed street and fashionable entry. The modern-contemporary condo has a spacious, open floor plan, including: 2 split bedrooms, 2 baths, and 1,332 SQ FT of total living space. Buyers will love the updated feel including; granite, stainless appliances, hardwood floors and decorative lighting throughout. Enjoy large walk-in closets, garden tub, updated touches and balcony to relax. The building's elevator and gated covered parking are huge selling features and the trash chute makes taking out the trash a breeze. Walk to Whole Foods and nearby boutiques. Close to Highland Park, Dallas Tollway, Love Field Airport and more! ° Additional Info: Pets allowed limit 1, unfurnished, 2 covered parking space(s), Dallas ISD. ° Top floor! Corner unit! Tons of natural light! Full-size WD & fridge included in this meticulously-maintained luxury condo in the heart of Oak Lawn. Spacious Master boasts enormous walk-in closet, fabulous ensuite w double vanities, separate shower and garden tub. Open layout w hardwood floors, granite CTs, SS appliances, large kitchen island, designer fixtures, and oversized private balcony make this home a must-see & rare find in highly sought after community. Secured private access to building and garage w two reserved spaces. Excellent walkability! Lots of nearby dining, grocery, retail & more! Option to lease furnished for an added monthly premium. Owner will paint kitchen to match other walls per request. ° Additional Info: Pets allowed, unfurnished, W/D connections incl., 2 covered parking space(s), Dallas ISD. ° Additional Info: No pets allowed, unfurnished, W/D connections incl., available 4/24, 1 covered parking space(s), Dallas ISD. ° This upgraded two bedroom condo offers 17th-floor views from the Renaissance East Tower. Upgrades include wood floors, custom cabinets, stainless appliances, and upgraded fixtures. Located in the heart of Turtle Creek, the property is a short walk across the street to Oak Lawn Park, the entrance to the Katy Trail, and nearby entertainment and dining, where luxury meets convenience. Amenities include 24-7 concierge, valet parking, guarded and gated garage, 2 pools, 2 gyms, and 2 business centers. ° Absolutely stunning two bedroom, two bath home features beautiful wood floors, incredible kitchen with all stainless steel appliances. This is the largest floor plan at Twenty One Turtle Creek and is a great place to call home! All utilities plus basic cable are covered in the monthly rent. ° Exceptional three story townhouse that will check all your boxes, including a private fenced yard and rooftop deck with partial views of Dallas skyline! Dramatic second floor living is perfect for entertaining with a wood burning fireplace, raised kitchen and dining area, 10 foot ceilings and half bath for guests. Master bedroom and large second bedroom are located on third level, along with the utility closet. Fourth floor includes a bonus room leading to the private rooftop deck perfect for outdoor living and entertaining. Low maintenance backyard with fire pit and putting green is accessed through the large attached two-car garage on first level. Washer & Dryer included. ° Additional Info: Pets allowed limit 2, unfurnished, W/D connections incl., available 6/1, 2 covered parking space(s), 1 fireplace(s), Dallas ISD. ° Listing Agent: Kasey Coats, Compass RE Texas, LLC. ° Great opportunity to live in the desirable neighborhood of Oak Lawn and Lemmon . Featuring soaring ceilings, ample natural light, a private patio off living room, and an attached garage. Open, multi-level floor plan with the dining room overlooking living room, decorative lighting throughout, balcony off the master bedroom. Recently remodeled bathrooms, adding 2 walk in showers, new carpet and paint Refrigerator, full size washer & dryer connections in garage. Perfect neighborhood for walking, biking, and privacy. Walk to Whole foods, restaurants, and even the Katy Trail in no time. ° Additional Info: No pets allowed, unfurnished, W/D connections incl., available now, 2 covered parking space(s), 2 fireplace(s), Dallas ISD. ° Beautiful one of a kind contemporary condo in the heart of Victory Park! Open floor plan with oversized windows,high ceilings, wood and gorgeous stained concrete flooring. Stunning Kitchen has quartz counters, appliances, built in fridge, oversize island & lg.walk in pantry. Spacious Master has two walk in closets, his and her granite vanities, oversize tub & shower. Balcony is perfect for entertaining and enjoying the downtown views. Building amenities include on site concierge, fitness center, pool and two reserved parking spaces. Fantastic location within walking distance to restaurants, retail, AAC & more! Unit is one of the largest in the building,Don't miss this great opportunity! ° Enjoy the convenience of urban living in this fabulous 3-story condo. Amenities include open floor plan, abundant natural light, beautiful wood floors, full utility room, balcony, and attached 2-car garage. Bedroom, full bath and garage are on the 1st floor; living area, half bath and balcony are on the 2nd floor; master bedroom, bath and utility room are on the 3rd floor. Large private balcony off of living area faces east & is protected from west sun. Kitchen offers stainless appliances, granite counter tops, gas cooktop and island. Ensuite master has large w-i closet. Located one block from Turtle Creek Village and convenient to The Katy Trail, West Village and downtown. Location, location, location! ° Imagine living in a chic, FURNISHED, spacious condo in the heart of Oaklawn, with A+ walkability factor. Eatzi's, Parigi's, Scaradello's, OakLawn Park, Katy Trail all within walking distance. Now imagine Carrera marble in the open kitchen w Liebherr fridge, Bosch stove, wood floors, floating marble-topped bathroom vanity, walk-in shower, soaking tub, French doors to your Juliet balcony to let in the sunshine and spring breeze. The light literally pours into this residence, with window coverings for privacy as needed. The ultimate urban experience, with all the luxuries and necessities: Concierge, washer & dryer, pool, outdoor grilling area, fitness area, 1 king, 1 queen bed, dishes, linen sheets, all included. ° The Beverly Condos!! One of the newest jewels in the Cedar Springs & Oak Lawn area. These meticulously State-of-the-Art Architectural Designed condos represent the ultimate Wow factor! The beautifully crafted exterior combines contemporary stucco, brick, brushed nickel accents and luxurious wood complemented by Artisan designed landscaping. You are greeted by beautiful wood floors throughout the home featuring 10 foot ceilings with recessed dimming lights, contemporary shaker cabinets, stone counter tops, waterfall island, stainless appliances, recessed LED lighting, decorative lighting and contemporary ceiling fans, chrome hardware and much more!! Relax on the roof top with views of the Dallas skyline! ° Welcome Home to this Sophisticated Spacious 2 Bedroom with a Mediterranean Style in Turtle Creek. Lavish Interior Features Include 12 Inch Ceilings, Honed Limestone and Hardwood flooring, Granite and Marble Counters and Chef Inspired, Premium Stainless Steel Appliances. 24 Hour Concierge and Peak Hour Valet Close to Katy Trail, Reverchon Park, Uptown, and Oak Lawn and Offers Easy Access to the Dallas North Tollway, Interstate 35E, Woodall Rodgers, and US Highway 75. ° Additional Info: Pets allowed limit 2, unfurnished, available now, 0 covered parking space(s), Dallas ISD. ° WONDERFUL 2 BEDROOM TOWNHOME IN GREAT LOCATION! THIS IS A MUST SEE, TOTALLY REMODELED, COMPLETE WITH HARDWOOD FLOORS, 2 FIREPLACES AND AN UPDATED KITCHEN. FENCED YARD, COVERED PARKING AND A GREAT FRONT PORCH. AVAILABLE NOW AND EASY TO SHOW! ° Additional Info: Pets allowed, unfurnished, 2 covered parking space(s), 2 fireplace(s), Dallas ISD. ° Listing Agent: Judy Pittman, Judy Pittman, Inc.
° W Dallas South Tower condo with Downtown views. Located on the 10th floor this modern condo has an open floor plan with a wall of windows.Enjoy an eat in kitchen with island, hardwood floors,Sub-Zero, marble countertops, electric shades and terrace. Master suite features spa like bathroom and large walk in closet.Room service, valet, concierge available at your finger tips. Two pools,two gyms and living room. New Victory Park shops and retail like Cinepolis movie theater and Billy Can Can. Walking distance to AAC, Perot Museum, Aquarium,Katy Trail and Uptown. ° Extraordinary mid-century high-rise in all of Dallas designed by architect Howard R. Meyer and named to the National Registry of Historic Places. Offering one of kind hand crafted and custom finishes throughout. Two oversized master suites with panoramic views of Dallas and Turtle Creek. Study or media room with dark mahogany wood paneling. Spacious formal dining room and oversized breakfast nook off the kitchen with downtown views. This condo is very spacious and offers great storage. Luxurious lobby entrance with 24 hour full service valet and concierge services. ° Listing Agent: Becky Frey, Compass RE Texas, LLC. ° The House! Live atop the famed Hard Rock Cafe in Victory Park! One of kind executive high rise living in this 28 story contemporary style building. Two balconies with incredible views and ceiling to floor windows bring in all the light you desire. Wood floors, granite counters, wolf and sub zero appliances. Pool terrace with 130 ft lap pool, owners lounge, fitness center, conf. room, waste service and so much more. Virtual tour available. ° STUNNING CONTEMPORARY WITH BREATHTAKING VIEWS, 2 BEDROOM 3.5 BATH, CORNER UNIT IN THE PRESTIGIOUS VENDOME. lARGE LIVING AND DINING, HARDWOOD FLOORS THROUGHOUT, MARBLE BATHROOMS, GAS KITCHEN W GRANITE COUNTERTOPS AND STAINLESS STEEL APPLIANCES. INCLUDES ALL THE FABULOUS AMENITIES THE VENDOME HAS TO OFFER INCLUDING GUEST SUITES, ENTERTAINING ROOM, HEATED POOL, CABANAS, WORKOUT FACILITY, DOG PARK, 24HR SEC & VALET. ALL BILLS INCLUDED EXCEPT CABLE AND INTERNET. ° Additional Info: No pets allowed, unfurnished, onsite W/D connections, available now, 2 covered parking space(s), 1 fireplace(s), Dallas ISD. ° A fabulous leasing opportunity! Recently updated kitchen with new cabinetry, granite countertops, wine cooler & stainless steel Thermador appliances. Marble entryway & Large living space with fireplace. Master bedroom has sitting area with fireplace, Master bath is complete with large walkin shower with body spray, stand alone bathtub, walkin closet & double sinks. Perfect size backyard for tenant to maintain to their liking. ° Spacious condo in wonderful Mediterranean style boutique building. Terrific Oak Lawn location. 2 bedrooms and study, which could work as a 3rd bedroom. Wood floors, granite countertops, and stainless steel appliances. Luxurious master bedroom with Juliet balcony, and huge bathroom with deep soaking tub and walk in marble shower. Large balcony with nice view. Controlled access building with garage parking and elevator. ° REDUCED! Loation, Location, Location! Beautiful gated 3 bedroom, 3 and half bath corner townhome in desirable Oak Lawn! Close to parks, highways, dining, and entertainment! Bright, open floor plan with lots of windows! Recent wood flooring and Carpet! Kitchen with Granite countertop, stainless steel appliances, and breakfast bar overlooking Dining and Living area. Large master bedroom with jacuzzi and separate shower. Walk-in closets, window coverings and ceiling fans. Each bedroom with private bath and walk-in closet. Washer, Dryer, Refrigerator included! Attached 2 car garage with epoxy finish, private fence yard with patio. Ample parking. Owner Says Rent Now! Make an offer! ° Beautiful Mediterranean three story townhouse just off Lemmon Ave. One bedroom on the first floor, living and kitchen on the second floor and spacious master and third bedroom on third floor. Private gated front courtyard and balcony on the third floor. Hand scraped hardwood floors throughout, SS Viking appliances, tall ceilings, tons of natural light, two car garage, AND comes with washer and dryer. Interior unit with multiple unreserved spaces in front. Eco-friendly with EV car hookup and Nest thermostats. Pets permitted on a case by case basis. ° The Serano Townhousesâ€”luxurious Tuscan living on Rawlins in the heart of the most desired area in Oak Lawn. 3bd &3.5ba + large den or bd, 4-story high-security townhouse with 2-car garage. A-list amenities including a private roof deck with fp and sweeping downtown views, chef's granite top kitchen with gas range and stainless steel appliances, spacious master suite with king-size soaking tub, airy living room w stone FP and patio. Multi-zone climate control. Hand-scraped wood floors and high ceilings throughout lend to warm yet sleek contemporary feel. ° Additional Info: Pets allowed, unfurnished, available now, 2 covered parking space(s), 2 fireplace(s), Dallas ISD. ° Enjoy a tree lined neighborhood and views from your roof top or main floor balcony. This home has it all including an open floor plan, fenced yard, 3 bedroom 3 full baths 2 half baths and attached 2 car garage PLUS a top floor large BONUS ROOM with half bath and ROOF TOP balcony. Luxurious Kitchen made for the chef in the family with beautiful granite counters, breakfast bar and tons of appliances including a wine cooler, double ovens, huge walk in pantry. Relax in your Master suite with bay window sitting area, Master bath boasts a large glass framed shower, his and her's vanities and plenty of storage with walk in closets, Several homes available. ° Additional Info: Pets allowed limit 3, unfurnished, W/D connections incl., 2 covered parking space(s), 1 fireplace(s), Dallas ISD. ° Updated three story three bedroom condo in great location one block from highland park, walk to shops and restaurants, and close proximity to the toll road. Open floor plan with large master and walk-in closet, and 2-car enclosed private garage. ° Enjoy luxury living at Crestpark. You will love this spacious condo which has been recently painted and had carpet installed in all bedrooms. Featuring generous room sizes, plenty of built-ins and loads of closet space. Enjoy entertaining with an open Living and Dining room featuring tree top views. The Kitchen features all appliances, room to eat-in and a walk-in-pantry and laundry area. The Master Suite features a bay window, oversized bathroom and a walk-in-closet with plenty of room to store everything. One secondary bedroom features built-ins and would make a perfect home office. Enjoy the community pool, beautiful clubhouse and 24 hour concierge. Tenant to verify dimensions and schools. ° Be The First to Move into this Completely Renovated and Fully Modernized Townhouse. New Quartz Kitchen Countertops, New Carpet, Full Paint, Updated Tile Throughout, and Oversized Master Shower with Dual Heads. Luxurious Tuscan living on Rawlins in the heart of the most desired area in Oak Lawn. 3bd &3.5ba + large den or bd, 4-story high-security townhouse with 2-car garage. A-list amenities including a private rooftop deck, with fp and sweeping downtown views, chef's gas range and SS appliances, spacious master suite with private patio and king-size soaking tub, airy living room w stone FP and patio. Multi-zone climate control. Hand-scraped wood floors and high ceilings throughout and private fenced yard. ° Extraordinary 1 of a kind Remodeled PENTHOUSE with a 270-degree Panoramic view of the Dallas skyline from 2 balconies and a large 10x10 open terrace. Open kitchen to living rm offers Miele and Bosch appliances, custom made cabinets, Quartz counters, and Aria Ice porcelain tiles throughout. LUTRON REMOTE BLINDS and PHILIPS HUE COLOR CHANGING LIGHTS. Spacious game rm w color changing lights and Study upstairs. LOTS OF STORAGE. Baths have Porcelanosa vanities, bidet toilets and custom glass showers! Renaissance offers some of the best amenities in Hi-Rise Living including 24hr Conceirge-security, 2 Pools & Gyms, valet parking & more. Walking distance to the many restaurants and Katy Trail. Reserved Parking Spots. ° Additional Info: No pets allowed, unfurnished, W/D connections incl., available 6/1, 2 covered parking space(s), Dallas ISD. ° Fabulous Custom Contemporary Unit in the Mayfair at Turtle Creek with Incredible Downtown Views! Open Floorplan with 3 Bedrooms & 3 Full Baths! Marble & Granite Floors, SS Appls, Gas Cooktop, Numerous Built Ins & All Custom California Closets! Walk-In Wet Bar with Illuminated Glass Shelving & Wine Cooler! The Mayfair Offers Some of the Best Resident Amenities in High Rise Living Including 24 Hour Concierge, Security, Pool, State of the Art Gym, Business Center, Entertainment Areas & more! Walking Distance to Amenity Rich Oak Lawn Avenue, Turtle Creek, Lee Park & Katy Trail! Close Proximity to Landmarks Including Arlington Hall Conservancy, West Village & Highland Park Village. 2 Reserved Garage Parking Spots! ° Additional Info: No pets allowed, unfurnished, onsite W/D connections, available now, 2 covered parking space(s), Dallas ISD. ° Spacious 3 BDR 4.1 Bath with gorgeous pool view. Rich hardwood floors, 3 gaslog fireplaces, open living dining with built ins, gourmet kitchen, stainless steel, granite island, 2 pantries, den with built ins, large master suite w seating area, his & her separate all marble full baths, jetted tub, separate shower, full amenities, 24 hr valet, security, pool hot tub, 2 fitness centers, beautiful gardens. ° Additional Info: Pets allowed limit 1, unfurnished, available now, 2 covered parking space(s), 2 fireplace(s), Dallas ISD. ° Listing Agent: Steve Do, Everest Realty, Inc.